Roberto Mongeâ€™s father â€“ Alfredo Del Transito Monge Menjivar â€“ grew up dirt poor in a jungle village in El Salvador, one of 8 surviving children in a family of 14. By good luck and hard work, he earned a law degree, found paying work, got married and started a family. I didnâ€™t know him, but according to his son Roberto, the elder Monge felt indebted to his campesino roots; when he had to choose between a military dictatorship or a revolutionary peopleâ€™s movement, he chose the latter, later assuming the position of Attorney General of the Poor in the revolutionary government. His position made him a target. He fled for his life. Two weeks later, his friend Oscar Romero (also his parish priest and the Archbishop of El Salvador), was assassinated. (RaÃºl JuliÃ¡ tellsÂ some of Romero’s storyÂ in a movie by the same name â€“ the first major filmÂ financed by the Catholic Church, and a storyÂ central to current events). After leaving his beloved country, the elder Monge sent his family to the US, but after a few years as an expat diplomat for the revolution, he realized that he had to choose family or country. 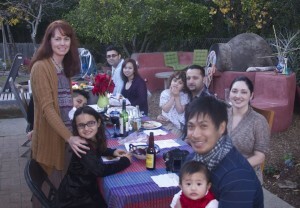 He chose family, and moved to the states to be with his wife and kids. What does this have to do with ovens? 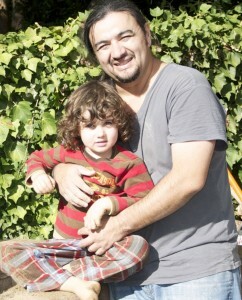 Roberto Monge left El Salvador in 1980, on his 8th birthday. With his parentâ€™s help, he grew up to claim a piece of the American Dream, getting an education and work, starting his own family, and buying a home in San Luis Obispo. But his father had always (even â€œbefore it was cool to be an urban farmerâ€) tended a backyard patch of corn, squash, and tomatoes. Roberto also remembered the dirt from El Salvador. 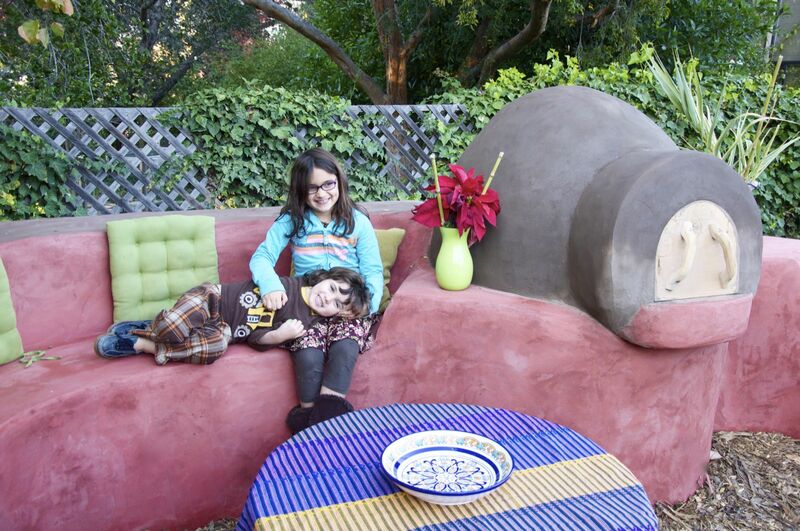 After digging out from a flood,Â he recognized the same feel and color in his San Luis Obisbo backyard, and decided to introduce his kids to a part of their heritage. They started making adobes. Then he remembered the food, which had been baked in a wood-fired mud oven. They built a mini-oven. They got help and friends, and built a full-sized oven. A local writer recognized it as a story worth telling, and published it in Slo Life Magazine. Iâ€™m sharing it here, with permission, because it tells the deeper story of ovens, one that we all share, somewhere, somehow, even if itâ€™s hidden. I also think itâ€™s important â€“ very important â€“ to remember that what hides such stories are invariably experiences that have displaced us from our roots, from the simple sources of our food and familial and communal relations. I think we all share those stories, too. 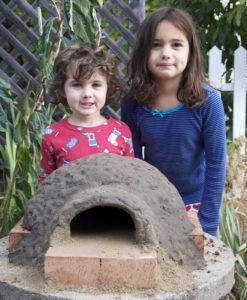 The most interesting thing about writing Build Your Own Earth Oven, and continuing to work with dirt as a building material, is how the material itself â€“ just dirt, and water â€“ seems to revive common stories, common memories, and common joys. I find hope in that, and hope shared is hope doubled. (Be sure to look at the recipe for El Salvadorean quesadilla which follows the article! Below is the story as printed in SloLife Magazine. Here, too, is a link to Jordan (Hosea) at ncredible edibles, the oven builder, who Roberto credits not only for making the oven beautiful, but also for helping to make it into a community project. Roberto has since added a little cast-iron chimenea to make use of leftover coals and keep folks warm while they eat on chilly evenings.Â The base was made of earth bags. I just finished reading “Build your own earth oven” the second time. The first time was a few years ago. The reality of many good principles presented are more impossible to ignore than before. As we enter into the future (which is looking bleak) a knowledge of self and continuing on to reality and boundaries we must set, will help us be most prepared to be a friend to our earth found family. Wow that was a mouthful. Oh well this is just a mixed up person, that is preping to get more mixed into his making. The only thing I wished to see in the book was Kiko with his arm around Hannah. I’m sure one of the best things he got into, is that relationship. Talking about mixed up my ancestors go from Norway to English to Austria to Scotland. Well may God Bless you and may we continue in a Quest for the truth that brings us together as friends as times get tougher. Bill W.
With what did you plaster and waterproof your oven? 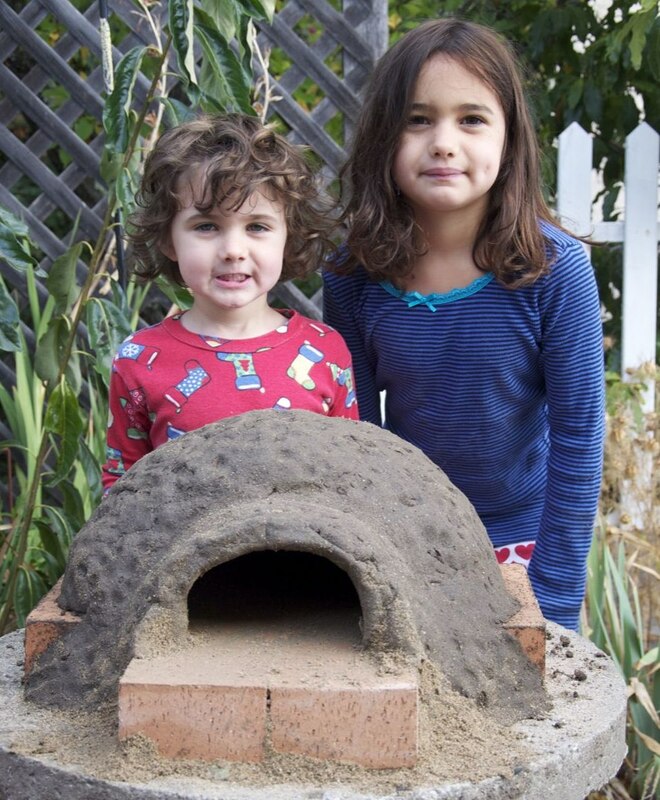 Roberto’s Oven is plastered with a perfect mixture of clay and sand with cattail hairs. 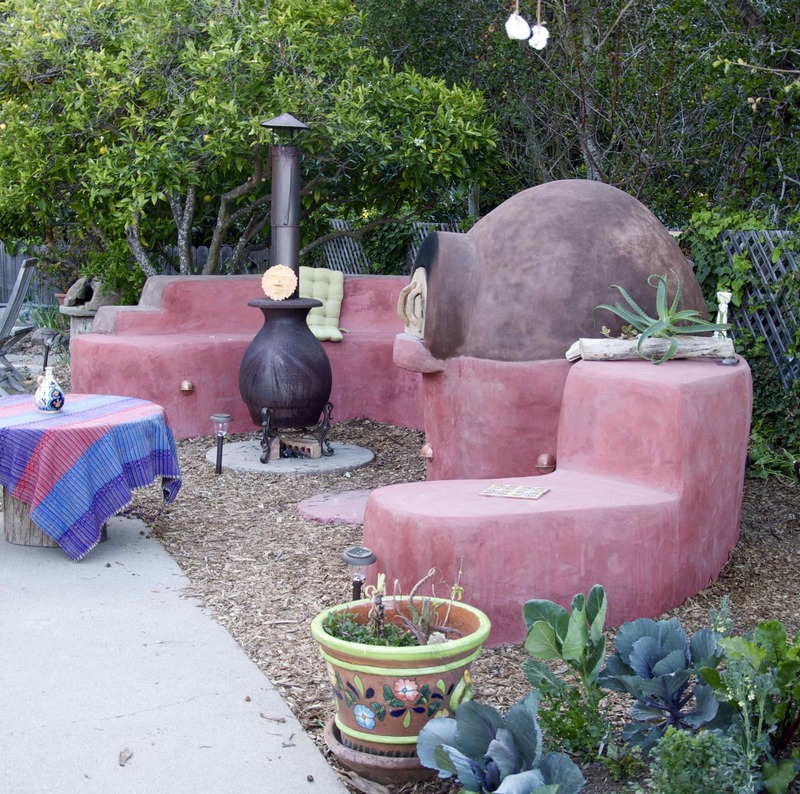 We also took Boiled Linseed Oil and put two coats on the oven afterwards to help with water resistance for small rain events… The oven pedestal and benches are constructed with earthbags and finished with a custom color cement plaster. go to ncredibleedibles.com to see more ovens by Jordan Hosea.